Hans Rose was one of the most successful and highly decorated German U-boat commander in the Kaiserliche Marine during World War I. Rose sank 79 ships for a total of 213,987 gross register tons (GRT) during the entire war. In September 1916 Rose brought U-53 to Newport, Rhode Island, to the surprise of American authorities. He proceeded to dock and then invite the American Naval Officers and their wives aboard to view his vessel. After delivering a message to the German Ambassador he proceeded offshore to the Lightship Nantucket. He sent five or six ships to the bottom having questioned their captains on their cargo and ordered the abandonment of their ships. On March 11, 1917 Rose, still in command of U-53, torpedoed and sank the 6705 tons Cunard Liner RMS Folia. 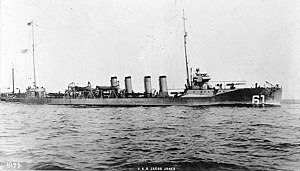 On December 6, 1917 Rose torpedoed and sank USS Jacob Jones which was the first American destroyer to be lost during the First World War. The torpedo hit Jacob Jones at 3,000 yards (2,700 m), the longest successful torpedo shot on record at the time . On December 20, 1917 Rose was awarded the Pour le Mérite for his achievements in the tonnage war. He was also awarded the Ritterkreuz des Hohenzollerschen Hausordens mit Schwertern. Hans Rose was in command of 1. Unterseeboots-Ausbildungsabteilung (U-boat training unit) from February 1940 to May 1940. What's the good word on Hans Rose?